Forest River Marine is committed to innovative product improvement as a means to provide our owners with a lifetime of enjoyment on the water. 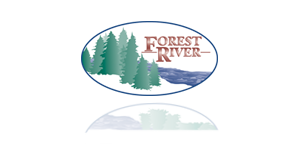 At Forest River Marine, we take great pride in building products that continually exceed our customer’s expectations. Combining superior construction, quality components and rich comfortable furnishings our pontoons have brought family and friends together for many years. Forest River Marine is committed to innovative product improvement as a means to provide our owners with a lifetime of enjoyment on the water. You can see it in the styling, feel it in the performance and experience it in the excitement of owning a Berkshire Pontoons. Entertainment, Fishing and Cruising Models available. South Bay Pontoons is focused on performance, luxury and quality, and providing owners memories for a lifetime. Entertainment, Sport, Fishing and Cruising Models available. Trifecta has it all; cruise models, fish models, entertainment boats, Super Sport packages and upper-end boats with all of the features people have come to expect in a high-end pontoon.